In China today the manual for the SM-G9298 leaked. This is an Android powered smart "flip" phone that was recently certified in China by the TENAA regulatory agency. There are a pair of 4.2-inch displays, each one carrying a 1080 x 1920 resolution. Under the hood is the Snapdragon 821 chipset featuring an octa-core CPU and the Adreno 540 GPU. 4GB of RAM is inside along with 64GB of native storage. A 12MP camera is found on back with a 5MP selfie snapper in front. Keeping the lights on is a 2300mAh battery, and Android 6.0.1 (!!!) is pre-installed. The SM-G9298 is available in your favorite color, assuming that your favorite color is black. The SM-G9298 is also known as the W-2018 and has already been certified by the FCC in addition to TENAA. 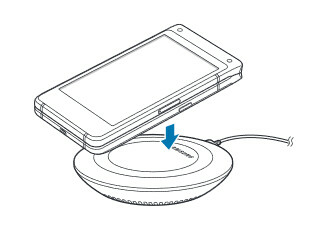 According to the manual, it supports wireless charging. We should see the device unveiled in Asia very soon. If you miss the old days when flip phones ruled the world, but you don't want to lose the capabilities of your smartphone, this would be the handset for you. Woah... Full HD on a display of four point two inches... Crazy. I honestly would love a smart flip phone here in the US. Will probably never happen though. Maybe this one won't lag as much as the S8. I wonder what did the S8 do to you or your family. So much hate. Anyways, you have my sympathy. Okay.....? Got anything lamer than that? Why are you interested in Samsung with android devices if you already know that the lag is disturbing you? Flash can't even afford an S8, that is why he keeps commenting on it and drooling over it. Collect me if I'm wrong, Snapdragon 821 come equipped with Adreno 530 not 540 or i just misunderstood that for entire time? I think we would all like to see top spec flip phones back on the market, something a little different. My wife is still using the Samsung m-400 flip phone. Going strong, and holds a charge for days! This new model may be just the thing to move her back to the future, .....or is it the past?